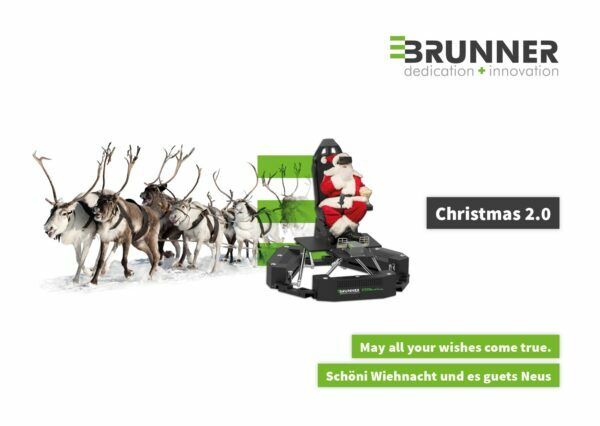 BRUNNER WISHES A MERRY CHRISTMAS AND A HAPPY NEW YEAR! The year 2017 is drawing to a close. It was a year which turned our hard work into new successes and a promising perspective for our future. We would like to take the opportunity to thank you for the trust you have placed in us and the valuable cooperation. We wish you a merry Christmas holiday and a healthy and successful new year 2018. Please be aware that our company is closed from December 23rd until January 7th due to season holidays.